Note that Thrush is rarely (never?) just on the tongue. Vertical corrugated white streaks on the sides of the tongue. These pictures show extensive manifestations, but try to imagine a patient with only a fraction of what’s shown here. Hairy leukoplakia can look just like white streaks due to occlusal trauma from sharp molars that scratch the tongue. I may have a patient stick their tongue in and out a few times while I squint to see where a wayward tooth-edge might contact. 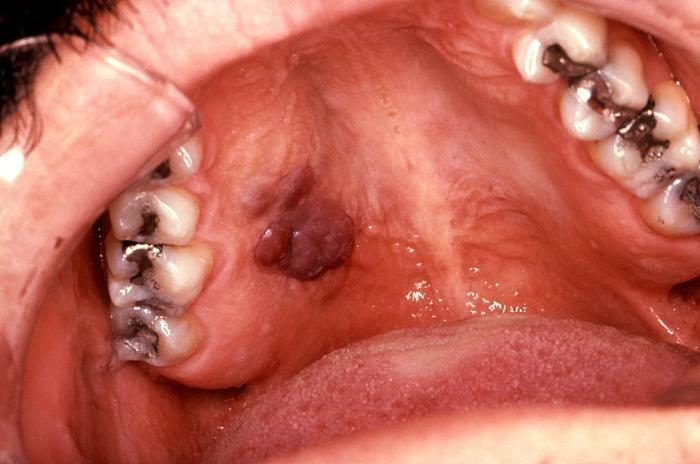 Suspect HIV if severe gingivitis over and above simple lack of hygiene.